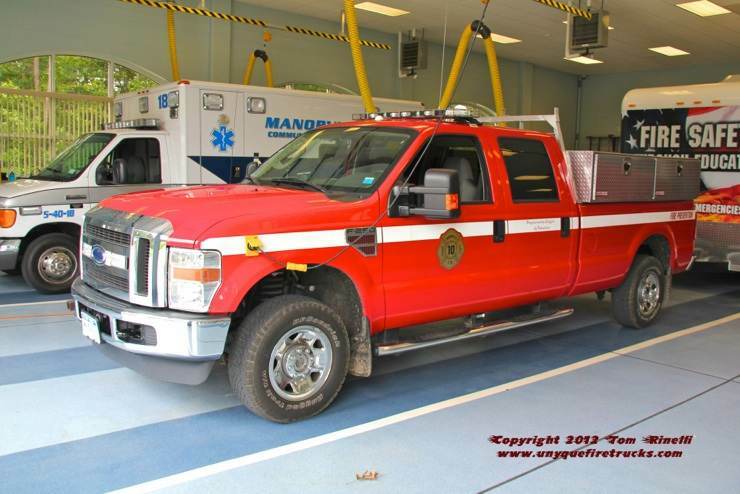 The ambulance seen alongside this rig was being temporarily housed in Station 2 while Manorville Community Ambulance completes work on their new headquarters. 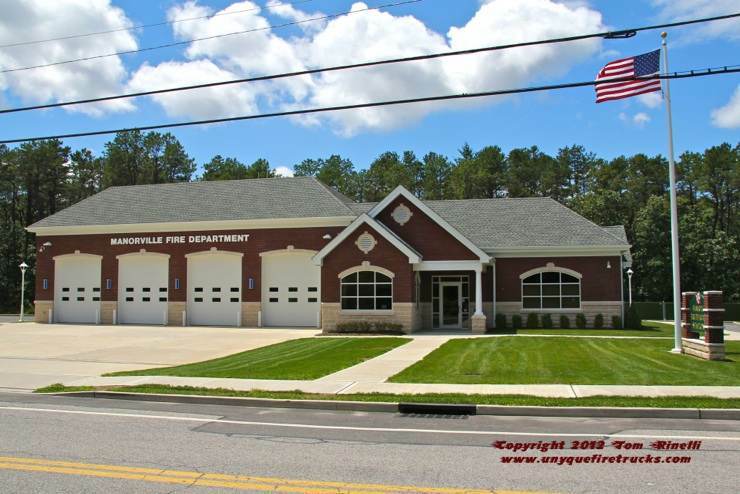 Occupied in late 2010, Station 2 is the home of Co# 4 (the “111 RoadRunners”) protecting the eastern portion of the district with a rescue engine, engine, brush truck & fire police. 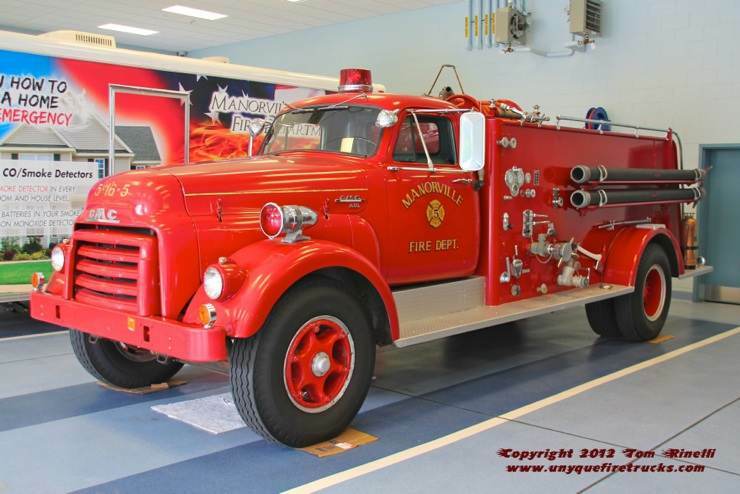 5-16-GI-2 - 1970 AM General 200 gpm/750 gal. 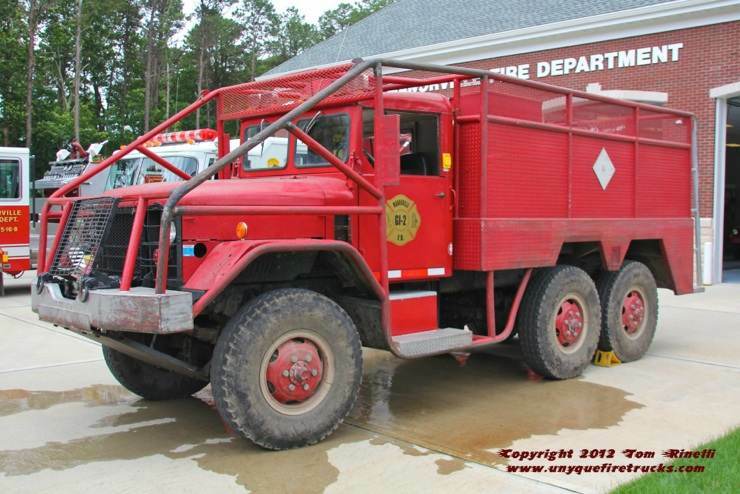 This rig along with its’ twin operating out of Headquarters gets quite a workout during brush season as Manorville experiences a significant wildfire threat. 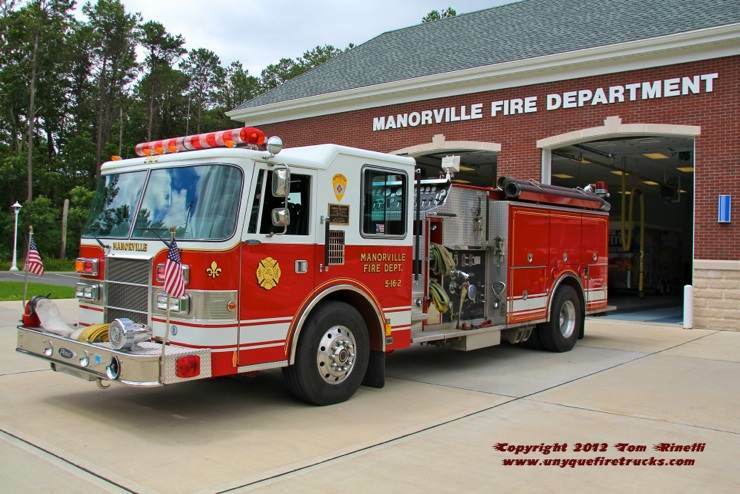 They frequently operate at brush fires involving considerable mutual aid resources (known locally as “Manorville Invitationals” - the term being a spin-off derived from invitational parades). Engine 5-16-8 - 1993 Pierce Dash 1500 gpm/1000 gal. Another “hand-me-down”, this rig was formerly first due from headquarters. 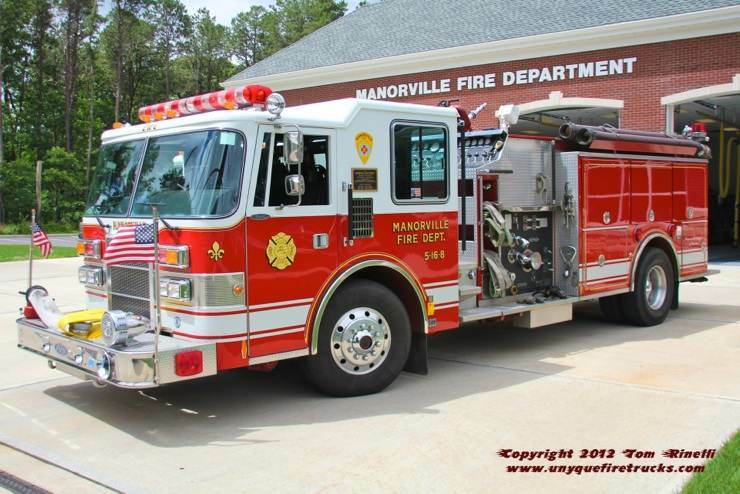 It now operates from Station 2 responding as the first due engine for structure fires. Engine 5-16-2 - 1993 Pierce Dash 1500 gpm/1000 gal. With the arrival of twin 2010 Pierce Velocity rescue engines just prior to Station 2 going in service, newly organized Co# 4 received “hand-me-down” rigs including this engine which was formerly first due from Station 1. Equipped with a Hurst combi tool, it now operates as a rescue engine responding first due to auto accidents on the high speed roadways of the Long Island Expressway & County Road 111 (which borders the station on the east side). Special thanks to FF Chris Steel for his hospitality & assistance in positioning the apparatus for photos & providing background information on the department.